Embraer forecasts demand for 10,550 new aircraft with up to 150 seats worldwide, worth USD 600 billion, over the next 20 years. The in-service fleet is set to increase to 16,000 aircraft, up from the 9,000 aircraft currently in operation. Market growth will drive 65% of this demand, while the remaining 35% will replace ageing aircraft. Whilst region-specific outlooks vary considerably, efficiency and sustainability remain the underlying drivers of the projected market demand. The up to 150-seat segment will form an ever more integral part of the global air transport eco system. The economic performance of the airline industry will mostly depend on how far costs will rise and to what extent the industry can sustain a healthy revenue environment. Aircraft in the up to 150-seat segment are the best placed to combine cost efficiency with stronger yields. “Past performance is no guarantee of future results. Even though every facet of the industry has excelled over the past years, we are now warming up for the next period of higher costs, with pressures on yields likely to continue unabated. 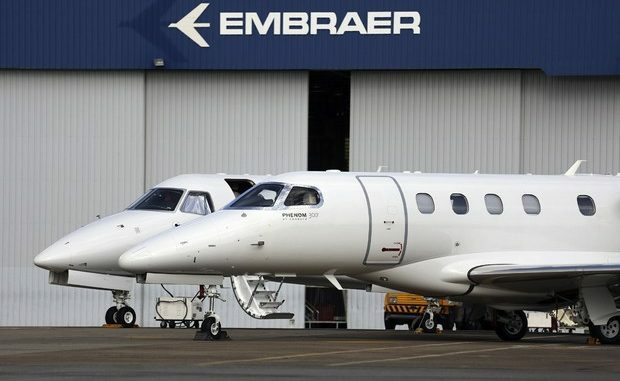 Profits are eroding and gains wiped out with rising costs”, said John Slattery, President & CEO, Embraer Commercial Aviation. The segment’s new product lineup challenges the “paradigm” that smaller aircraft necessarily have higher CASK, and now approach the seat cost economics of larger narrow-body aircraft with roughly 20% trip cost advantage. Aircraft in the up to 150-seat segment is one of the main pillars of business sustainability. As the most efficient single-aisle family of aircraft, the E-Jets E2 are perfectly placed to consolidate Embraer’s position as the market leader in the segment and maximize profitability for both airlines and leasing companies.